Do you believe in love at first sight? 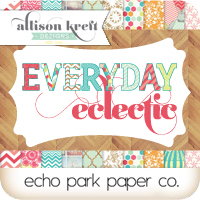 You might after you see this latest collection for Echo Park Papers. "Lucky In Love” has a mix of traditional and trendy patterns and elements. 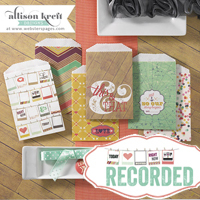 This collection includes patterned papers, alpha and element sticker sheets, designer dies, and a clear 4X6 stamp set. 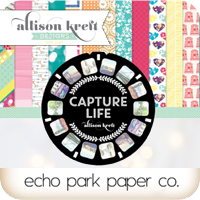 Papers... Clear stamps & dies! *Giveaway* Leave a comment below for a chance to win the collection. 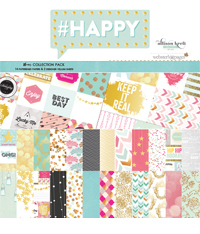 Love the different patterns and that banner stamp! Besides the addition of Aqua, I love the alphabet style. love this collection! esp the alphas! OMGosh What a beautiful collection, Love it all, so hard to choose a favourite element, loving the alpha and element stickers, defintely a collection that i'd love to own. Thank You so much for this chance to win. Gorgeous collection! The dies are to die for! Particularly the horseshoe one. Another gorgeous collection!! Love the letter alphas and element stickers, too!!! Oh my goodness!!! I love the dangling heart paper!!! The collection is darling!!!! Pretty collection! Great patterns and colors on all the papers! I love the stamp set and the dies too! Valentine's is my favorite holiday and I LOVE this line! It is beautiful!! Oh my goodness! LOVE this! Congratulations!!! Loving the new stickers!!! 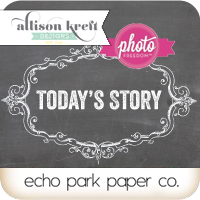 I love all of the hearts - the stamps and the paper. The love birds in the cage are darling. Bright and colorful collection - going to be great for Valentine's Day. 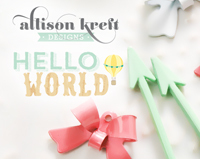 What a beautiful collection and nice mixture of everything you could ever dream of creating with. 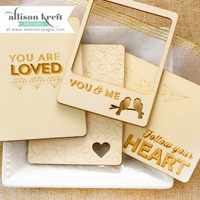 Especially love the candy heart paper and the splashes of gold. Would really love to win. Thanks for the giveaway. adorable and soooo pretty!! 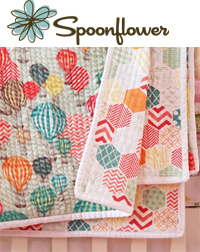 LOVE the fun pattern mix on this line and fun embellie shapes for it!!! So gorgeous!! Can't go wrong with aqua, pink, red, and gold! I like that heart doily stamp! Does it work with the heart die? Wonderful collection! 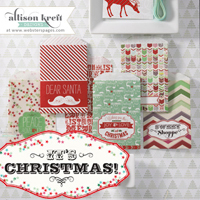 I have so many ideas for the beautiful paper and I so love the darling stamp set. And those dies coordinate perfectly! I'm not always a fan of Valentine's collections but the colors of yours are great. I like the aqua and gold. The paper with the pink and white hearts is my favorite. 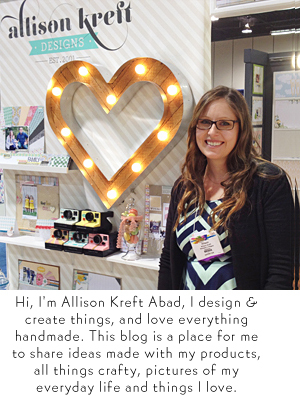 I love anything by Allison! It is always fantastic and this collection is no different!